Battered by five cataclysmic hurricanes in three weeks, the Texas Gulf Coast and half of the Lone Star State is reeling from the worst devastation in history. Thousands are dead or dying--but the worst is only beginning. Amid the wreckage, something unimaginable is happening: a deadly virus has broken out, returning the dead to life--with an insatiable hunger for human flesh. . . Within hours, the plague has spread all over Texas. 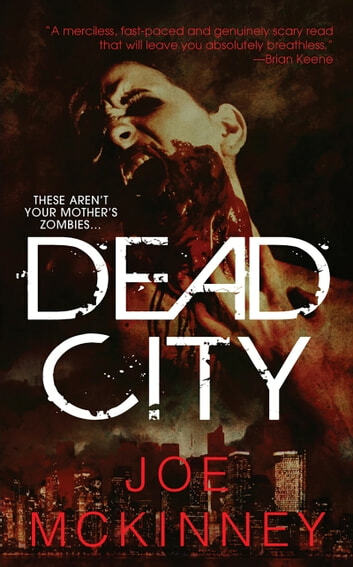 San Antonio police officer Eddie Hudson finds his city overrun by a voracious army of the living dead. Along with a small group of survivors, Eddie must fight off the savage horde in a race to save his family. . . There's no place to run. No place to hide. The zombie horde is growing as the virus runs rampant. Eddie knows he has to find a way to destroy these walking horrors. . .but he doesn't know the price he will have to pay. . .